Your ultimate goal should be to work 40 hours or less per week…we can show you how! What's included for $399 per month? This will allow you can take your audio training to the gym, in the car or listen in the office. All audio on the site is available to download in mp3 format. There’s no need to recreate the wheel. We will give you postcard examples, presentations, webinars and more to assist you. Can I Try a Sample Audio From Your Coaching Program? All of our coaches are top producing real estate agents and loan officers who are currently active in the business. They all make between $500k – $23 million and have at least $500k in the bank. Our coaches are passionate about what they do and want to share the same knowledge with you that has helped them become successful and changed both their lives and businesses. No! 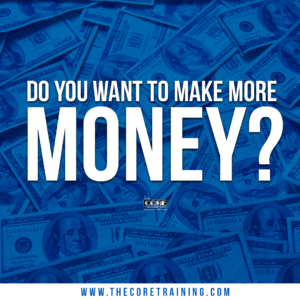 Unlike other programs, The CORE Training, Inc. does not charge you a set-up fee, for support, or for program updates. 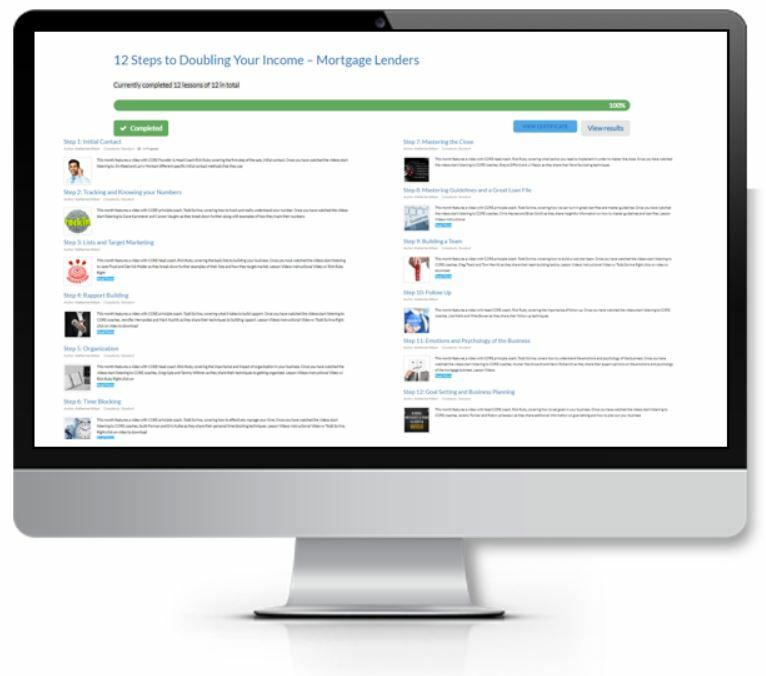 How can I pay for the 12 Steps for Mortgage Lenders? You can sign up online with a credit card, creating an automatic monthly subscription. Step 1) Initial Contact – CORE Founder and Head Coach Rick Ruby covers the first step to the sale and the first step to doubling your income! Step 2) Tracking and Knowing Your Numbers – CORE Principal Todd Scrima introduces you to the two tools you need to track your business. Step 3) Basic Lists and Target Marketing – CORE Founder & Head Coach Rick Ruby focuses on the details of how to work the 5 lists you prospect. Step 4) Building Rapport – CORE Principal Todd Scrima teaches you how to build a rapport with anyone! Step 5) Basic Organization – Rick delves into and explains the importance of having an O.C.D. mentality when it comes to organization. Step 6) Basic Time Blocking – Todd Scrima uncovers his big secret to time blocking and the importance of selling at a minimum 4 hours per day. Step 7) Mastering the Close – Rick will teach you what skills you need to work on and how to be clear, direct, and firm to become a master of the close! Step 8) Reading and Mastering Guidelines – CORE Principal Todd Scrima gives you an overview of how to start your day off the right way. Step 9) Basic Setting Up and Turning in a Great File – CORE Principal Todd Scrima guides you into one of the most important tactics to doubling your income: The Process. Step 10) Basic Follow Up – CORE Founder & Head Coach Rick Ruby gives you the specific steps it takes to follow up properly. Step 11) Psychology & Emotion of the Business – CORE Principal Todd Scrima explains the importance of taking your mental state from “I’m not sure if I can” to “I KNOW I CAN.” Step 12) Goal Setting and Business Planning – We wrap up the 12 Step to Doubling Your Income by putting your goals and business plan on paper. We don’t know what you are waiting for. 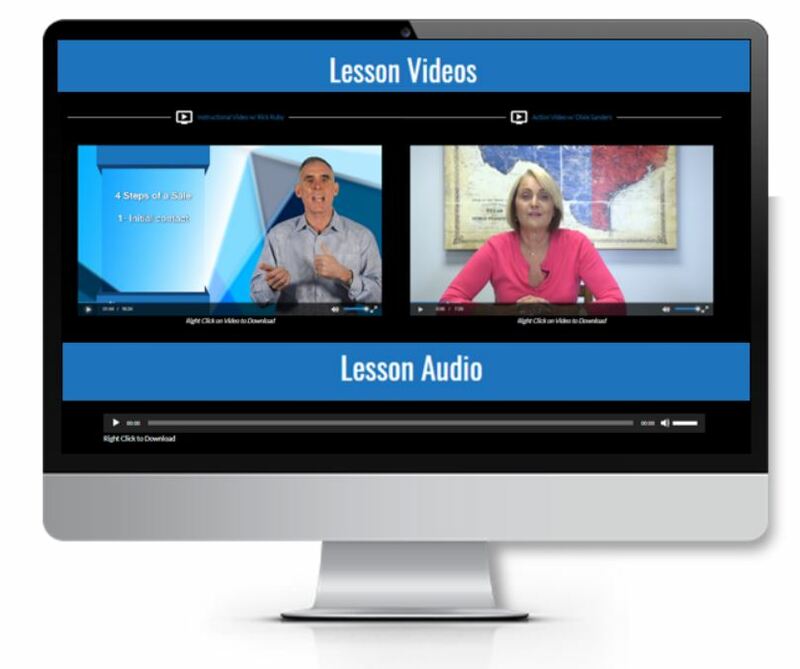 The CORE Training 12 Step coaching program is a low-risk solution that allows you to have a complete learning management system in place for your business quickly. If you follow our plan, your business/income WILL increase!